Today the Supreme Court is hearing arguments in McCullen v Coakley, a case in which anti-choice protesters claim that a Massachusetts buffer zone law requiring picketers to stay at least 35 feet from a clinic entrance violates their right to free speech. Should the high court side with McCullen and others, places like Portland, Maine, Colorado, Pittsburgh and Chicago would no longer be able to enforce their buffer zone laws and ordinances passed to protect patients seeking abortion care in the facilities that serve those areas. McCullen v Coakley is a direct challenge to Hill v Colorado, and the court’s decision to hear the case has abortion providers and pro-choice advocates more than a little concerned. Appeals court judges have all upheld that buffer zone laws are a good balance of rights for both protesters and the clinics that they target, giving patients and staff access to the building while also allowing picketers to maintain their right to free speech but not to incite violence or block access to clinics. When issuing his opinion on McCullen, First Circuit Judge Selya called the plaintiff’s allegations of First Amendment violation a “creative recalibration of First Amendment principles”. As Robin Marty asks in her Think Progress piece, “By taking up McCullen, is the Supreme Court signaling it sees something different than the previous courts did?” Even though the passage of the Freedom of Access to Clinic Entrances (FACE) Act in 1994 has prohibited protesters from blocking patients and staff from clinics, buffer zones have since protected patients from further harassment that could become, and has become, violent behavior. In this chart from the National Abortion Federation (NAF), incidence of reported clinic violence have dropped substantially since 2000. Though the instances have decreased, the majority of clinics that don’t have buffer zones still face violence everyday. Opponents of the Massachusetts law say these buffer zones violate their First Amendment rights. NAF also recommends buffer zones in its Legal Remedies to Address Clinic Violence and Harrassment handbook, and lists a state-by-state collection of ordinances and injunctions that help protect clinics. Though some buffer zones were struck down before the decision in Hill v Colorado, NAF believes that “if similar ordinances were introduced today they would likely survive a constitutional challenge.” In regards to McCullen, we certainly hope that’s true. 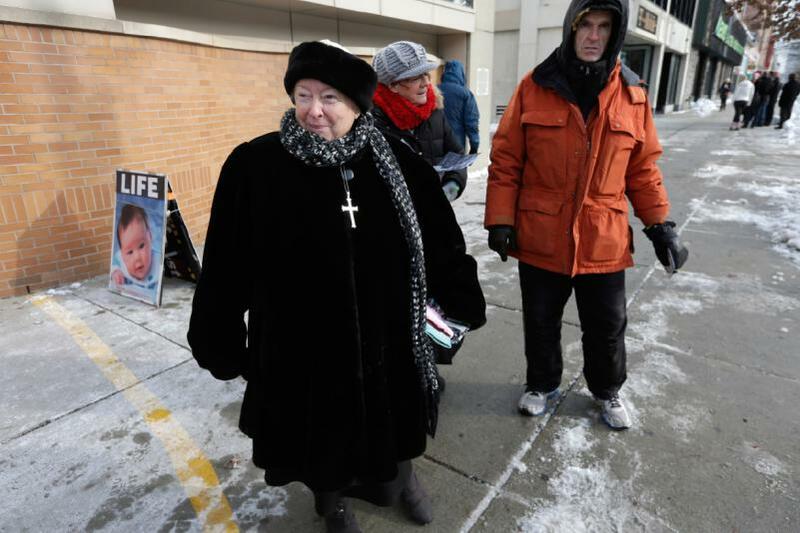 “We consider it a First Amendment issue, because it’s a law that targets very certain facilities, just abortion facilities,” says Anne Fox, the [Massachusetts Citizens for Life] president. Protests outside corporate buildings or by animal rights activists, for example, do not have protests “buffer zones.” Fox says the zones also make it nearly impossible for anti-abortion activists to speak freely to women walking into clinics to get an abortion. While we wholeheartedly agree that the First Amendment grants anyone the right to say and believe what they choose as well as assemble in protest, it grants no one the right to use tactics like violence, harassment, stalking, or murder as a means of “free speech”. Being forced to stand 35 feet away from the entrance to a clinic, while making it more difficult to directly engage with a patient, does not obstruct a protester’s right to assemble or tell them what they can or cannot say and believe. A buffer zone is created so that a picketer can’t get into a woman’s face, follow them to the door, or make any harmful actions against her when she’s walking into a facility. Law professors defending the 2007 Massachusetts law filed a supporting brief in the case, McCullen v. Coakley, No. 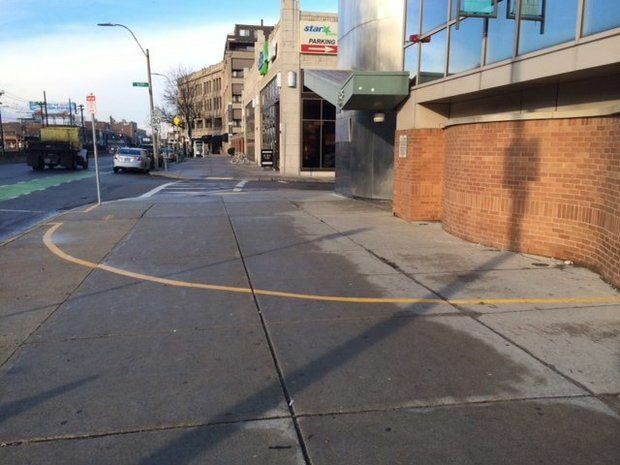 12-1168, pointing out that buffer zones also exist around polling places and funerals. In a supporting brieffiled for Planned Parenthood, Walter E. Dellinger III, a former acting United States solicitor general, reminded the Supreme Court that it forbade protests on its own plaza. As the court hears arguments today we, like many others, will be watching for the decision to see if they uphold the standards that were rightfully set in Hill. Until then the question remains: If SCOTUS interprets the creating of safe, protective spaces for women in communities with high instances of anti-choice violence as an encroachment on free speech, what kind of precedent does that set for future First Amendment cases?